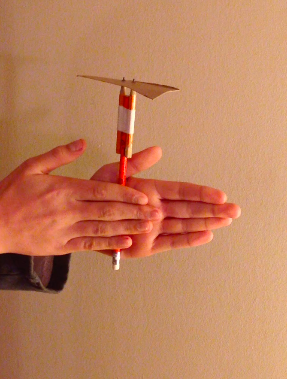 Make a simple cardboard helicopter, and a launcher that spins it for take off. Make sure the short pencils have good points. As shown in the photo, lay the long pencil between the two short pencils, with the points of the short pencils above the end of the long pencil. Tape together. Make a rectangle of cardboard. Using the points of the short pencils, push holes in the centre of the cardboard rectangle. Use a pin or other sharp object to help if needed. As shown, bend two opposite corners of the cardboard slightly, in opposite directions, to make crude helicopter blades. 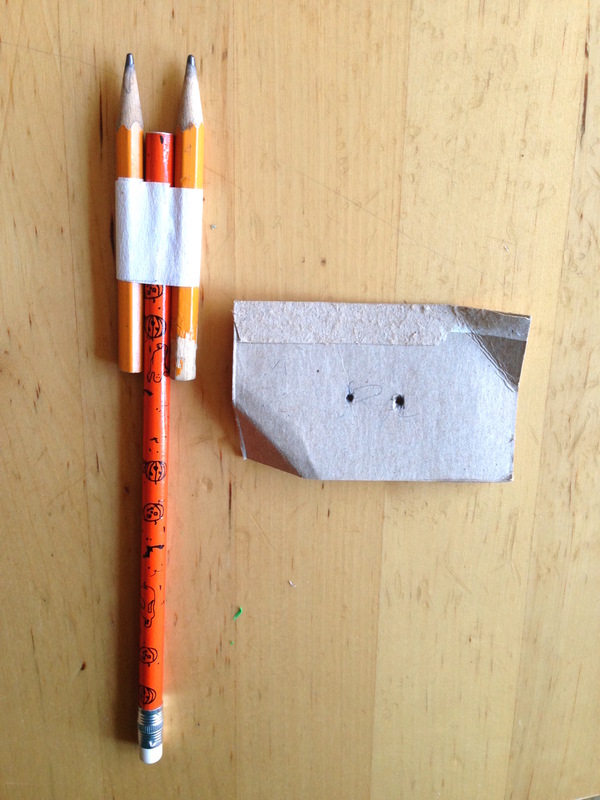 To launch, hold the pencils upright, using the holes in the cardboard, rest the helicopter on the pencil tips. 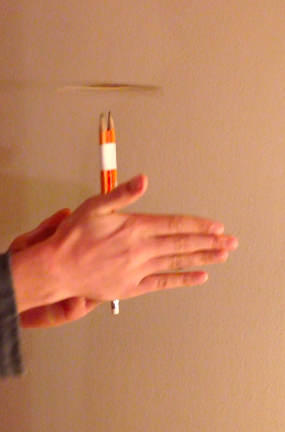 Spin the launcher rapidly, by spinning the long pencil between two flat hands (look at the position of the hands in the two photos). The helicopter will lift off the launcher and rise a little before spinning off sideways. Play with the size of the cardboard, the angle and size of the bends in the cardboard. As it spins, the bends in the cardboard direct the flow of air downwards. The push of air downwards, results in an equal and opposite reaction (Newton's Third Law) pushing back up against the helicopter. This is the force of "lift", which keeps it up in the air. Eventually as the spin slows, the lift is not as great, and the force of gravity pulling it to the ground dominates and it falls.